Are you looking to take your business to new heights with the up-to-date social media marketing strategies? Learn where to prioritize your time so you can maximize traffic and exposure to your business? Discover what to optimize on social media platforms to create repeatable business systems that automatically generate customers? Social media marketing is one the key difference maker between a Fortune 500 business and a local city business. It provides you the tools to give your business the exposure to reach millions at the convenience of anywhere in the world. However you can't do what everyone else is doing or your social media efforts won't stand out. That is what I'm here to teach. The tactics that actually provide results back by statically success and not belief. The highly effective secrets to even the playing field so your business can compete with the leading name brands. What you need is to invest in yourself and your business at higher levels. Upgrade your knowledge and your approach. In this audiobook, that’s what I’ll show you how to do. Gain useful perspectives and strategies for the most popular social media platforms. How to optimize your content so you can convert on your efforts while others fail. Know how to promote yourself across social platforms for maximum impact and results. Skip the line and take the fast track to fame and followers with secret social laws. Craft the image of an influencer with customers begging for your products. Social media marketing isn’t going anywhere. If you want your business to crush it, then you need this audiobook. Absolutely a must listen if you are in network marketing or even direct sales. Very clear instructions for all stages of your business. Easy to apply ideas so that you will be able to achieve the success that you want. easy to listen, straight to the point,. easy to listen, straight to the point and that will help you master social media so that you can run a sustainable business. You will be able to put to work immediately all the tips and advice provided. Finally an one stop resource on how to take the daunting social media platform and use it as a tool for business. Super easy to understand and follow. Wonderful and very easy to understand audio book. Nice audio book! Easy to follow! Nice audio book! Easy to follow along or even come back to. author stays on top of his own social media giving you tips and new updates to keep you informed. 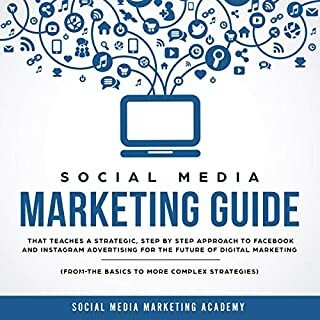 With this Easy-to-Understand Guide you will be fully prepared to start your life on the arena of Social Media. A well-detailed audio book and concisely narrated on the topic. 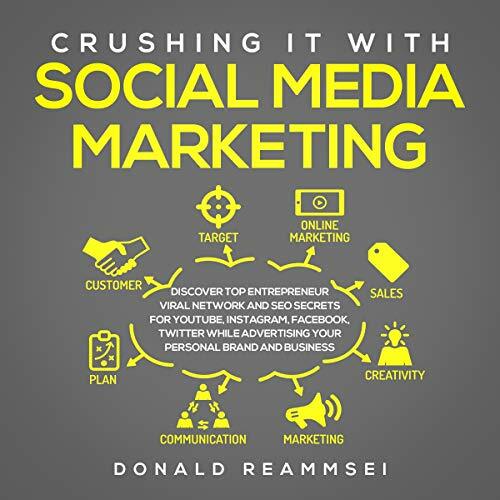 If you want to start social media marketing for the beginning then you need to follow this audio book. It provides useful tips and tricks that are really effective. This audio book is a good method to figure,. 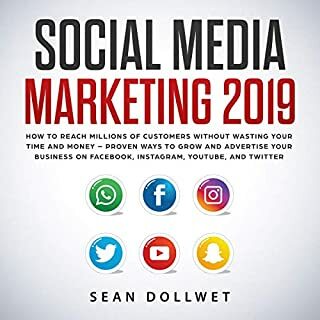 This audio book will give you many useful tools for social media marketing, I was thrilled at how handy this book is and would recommend to anyone who's interested in learning social media marketing. Easy to follow along or even come back to. author stays on top of his own social media giving you tips and new updates to keep you informed. This audio book was worth the credit completely. This audio book was worth the credit completely. Every gold-nugget it shared will definitely help me on my network marketing journey. Very informative in terms of showing how social media is so essential to any marketing strategy in 2019. 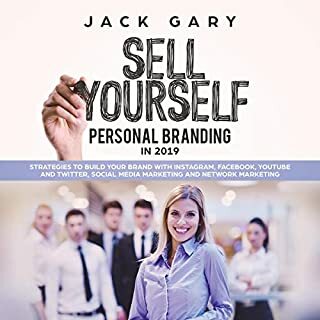 Has made me realize how much I have been neglecting this aspect of my business- thanks so much Gary and great narration from Gary Chase look forward to the next few books! I'm so impressed with the quality of this book, I've got to say this is one of the best books i have listened too. I will definitely be listening to this multiple times! I learned so many effective things from this book. I learned so many effective things from this book. I was really stunned by perceiving what number of vital proposals assembled in such a short book. 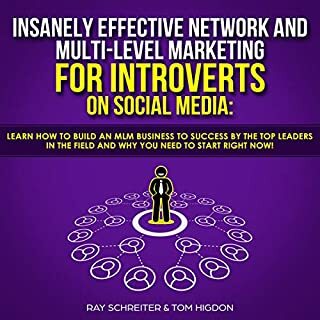 I think the book is a great resource and shares a lot information businesses need to know to be successful with social media marketing. The tips were straight forward, practical, easy to use, and the author wasted no time getting straight to the point. 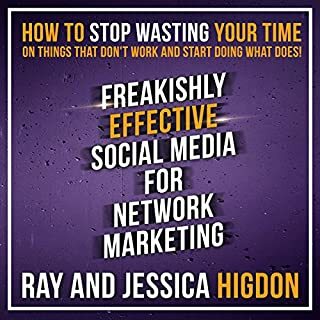 This book is an excellent resource for the young entrepreneur new to the social media game. It covers every current social media site in depth with full instructions on how to reach your target audience. 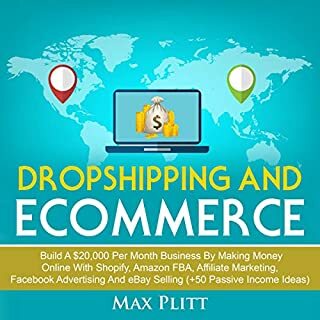 The great achievement of the audiobook is to give hundreds of realistic, interesting and current tips on how to use social networks to leverage business, in all its forms.